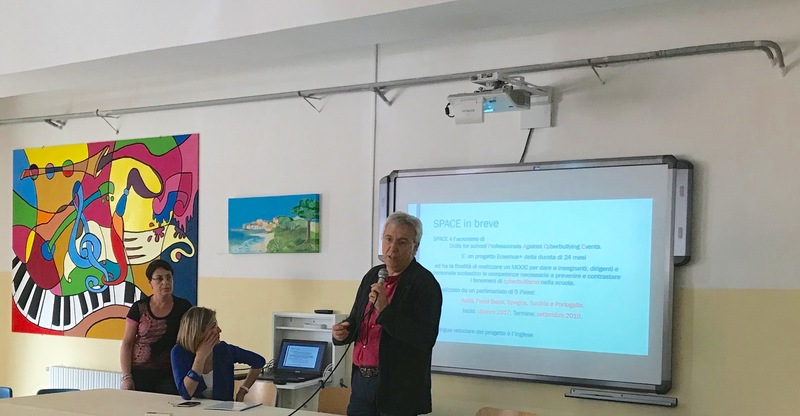 The first Italian Multiplier Event of the SPACE project was held in Brindisi. 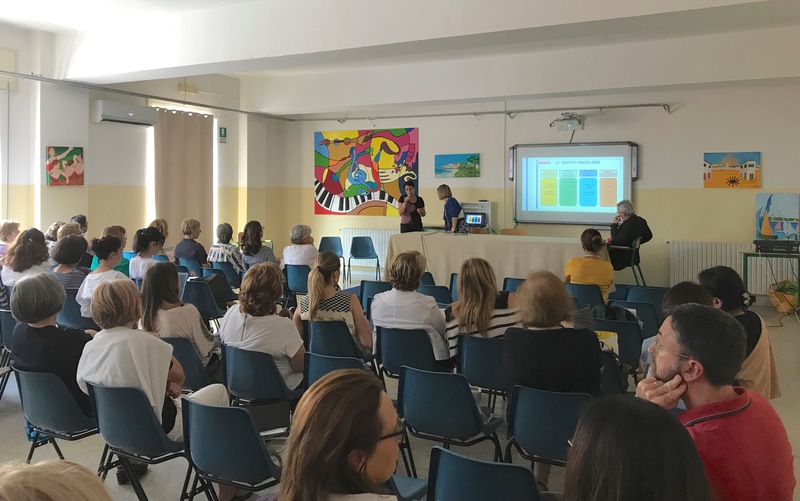 The event took place on June 6th at the Istituto Comprensivo Casale, where the staff of the Applicant Bozzano school was welcomed by the head teacher Mina Fabrizio and presented the first intellectual outputs produced by the project. Girolamo D’Errico, Bozzano’s head teacher and SPACE project manager, and Maria Rita Metrangolo, teacher and project researcher, explained to the secondary school teachers the genesis of the project, its themes and the realized products: map of competences, MOOC model, SPACE public digital library of Open Educational Resources about cyberbullying.